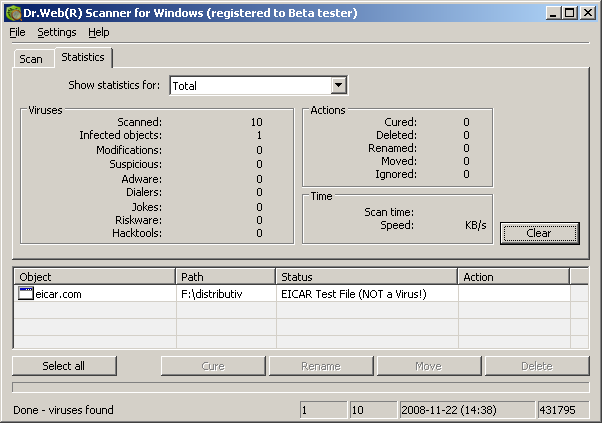 The Statistics pane shows the total information on the Scanners operation  the total number of the objects scanned, the quantity of objects infected with known viruses, with modifications of known viruses, suspicious objects and also the actions the program made over infected or suspicious objects. You can also receive statistics for any logical disk of the computer. Select the disk in the drop-down list on top of the pane. To clear the report list click the Clear button.